The Democrats have always been about image over substance. Message control is the watchword. That wouldn’t be so bad except that liberals think that controlling their message justifies limiting what anyone else can say. 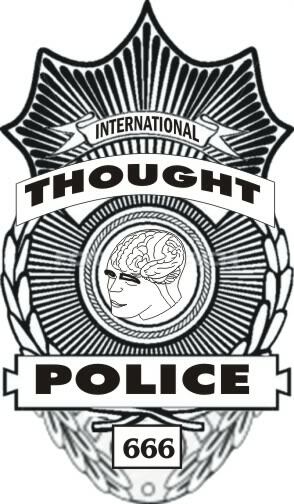 This Thought Police mentality was in full view at the DNC. The Obama campaign, apparently afraid of what we conservatives might say, actually issued rules about not talking to conservative news outlets along Radio Row, the designated area for talk show hosts visiting the Democrats’ convention. Nationally syndicated host Roger Hedgecock, the former mayor of San Diego, decided to pack up early and go home because of what he described as a “complete freeze” by the DNC on conversations with conservative talk shows. According to National Review, DNC staffers who booked politicians with the conservative shows were cancelling just before air time because the shows’ audiences weren’t the DNC’s target group. Objectivity is the last thing Frank and the other bloviators of the DNC wanted. What they were looking for was the usual batch of sycophants, so there was probably a lot of traffic at the Huffington Post and Politico booths. Michael Tracey, a writer for The American Conservative, did what a lot of reporters do, which is to ask questions when they find themselves near a political figure in public. When White House adviser Valerie Jarrett walked by after giving an on-camera interview, Tracey asked about the use of drones to strike terrorists in Afghanistan. Jarrett told Tracey to “do what Politico” did and set up an interview with her press officer. As she walked away, Tracey was approached by one of Jarrett’s aides who looked at his press credential and called over two uniformed officers to throw him out of the convention.